The Seven Seas is dedicating some departures to Simply Snorkeling! 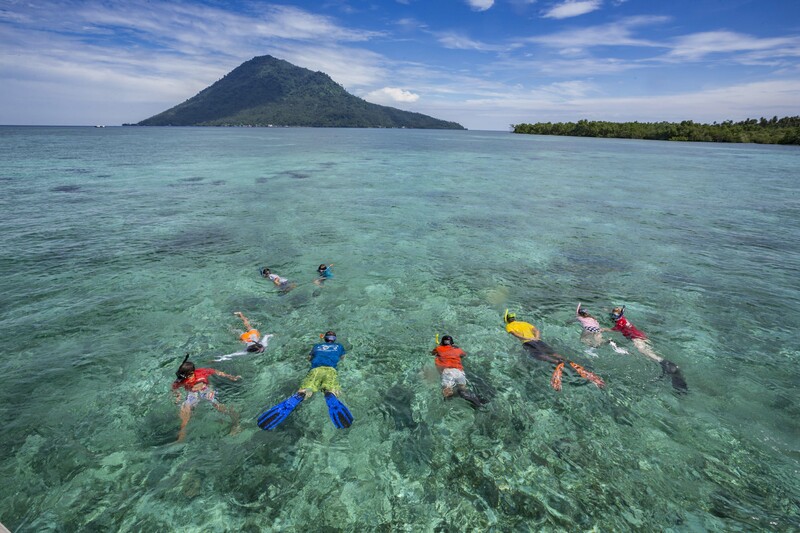 The vessel has been actively staking out new and fantastic sites specifically for snorkeling. Group of snorkelers can now discover the best of Komodo and the Forgotten Islands and see just as much as the divers and in some cases more. You’ll see all the big stuff like sharks, turtles, mantas, schools of Jacks and barracuda as well as the smaller critters such as cuttlefish, crocodile fish, shrimp fish, etc. You’ll even do some night snorkeling which is super fun. If you think you’d like to give diving a go, some introduction to diving programs can be arranged. Trips on the Seven Seas are also perfect for families! The Seven Seas is a 40 meter long, traditionally built Buginese schooner and has set new standards in Indonesian liveaboard luxury. Custom-designed to accommodate up to 16 guests in spacious comfort over three decks she is perfect for both diving and relaxation.